I couldn't tell you when I ate my last cinnamon roll but chances are it was from Cinnabon at a rest stop years ago. How tragic. Once the craving came on the desire to bake was basically intolerable (I'm only half-joking). 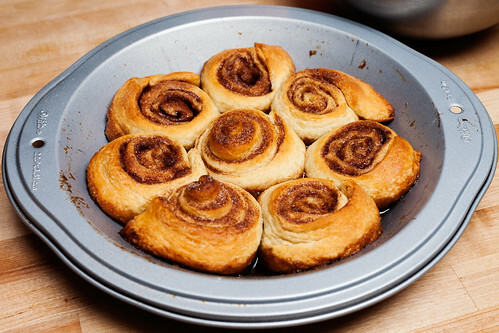 I found a quick and easy recipe for Baby Cinnamon Buns using a canned Pillsbury Crescent Seamless Dough sheet and figured I'd give it a shot. Luckily I had everything else the recipe called for on-hand: butter, sugar, cinnamon, brown sugar, vanilla, powdered sugar, and a little milk. Easy! All of the brown sugar and a good chunk of the butter which was reserved for the bottom of the pie plate made for a nice gooey crust, though the butter separated a bit too quickly for my liking. 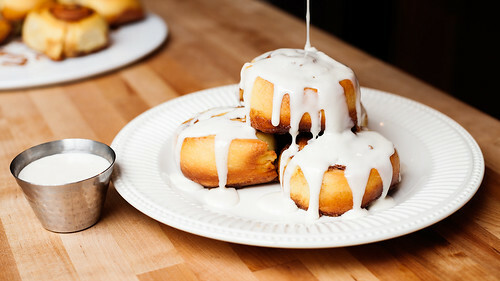 The resulting sticky sweet rolls totally hit the spot but I couldn't help wondering what could have been. I'm dramatic, what can I say? 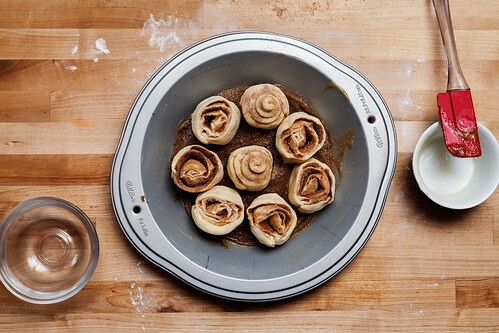 Having never made cinnamon rolls before this, I was determined to make the dough myself. 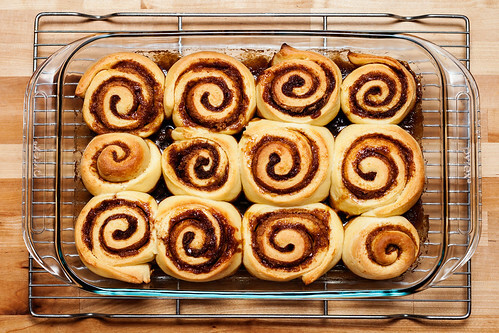 With so many recipes out there, it was a tough choice but I narrowed it down to three: Smitten Kitchen's Cinnamon Swirl Buns, the Pioneer Woman's Cinnamon Rolls, and Alton Brown's Overnight Cinnamon Rolls. In the end Alton won. Leave it to me to choose the most time consuming recipe of the bunch. I definitely prefer the abbreviated ingredients for Alton Brown's dough over the 20+ in the Pillsbury Crescent Seamless Dough sheet. Plus, it was a great excuse to use my stand mixer and hook attachment. 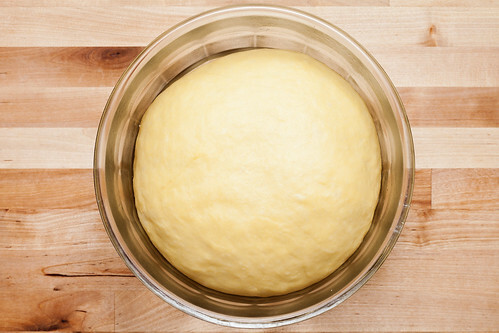 After kneading the dough and allowing it to rest for two hours, it doubled in size beautifully. I couldn't wait to punch it! Just look at those adorable puffy swirls! Rolling out the dough was much easier than I expected considering how springy it was and how bad I normally am at it (my pizzas are almost always oddly-shaped). Once the dough chilled for sixteen hours (yes, 16), I had to wake the yeast up by proofing the rolls with a fancy steam bath for half an hour before baking. 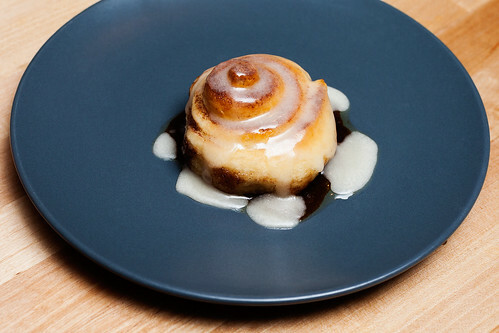 This icing was miles better than the simple powdered sugar and vanilla combination of the first recipe and I doubt I'll ever ice cinnamon rolls with anything else again. What a difference a little cream cheese made! Two recipes and twenty cinnamon rolls later, and I totally believe making the dough from scratch is 1,000% worth it. The second batch was softer and fluffier with the perfect savory buttery flavor. And WOW, the smell! 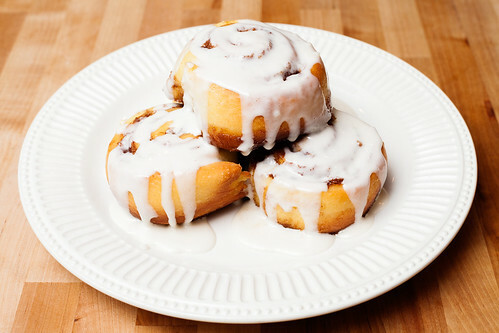 I can't recommend Alton Brown's Overnight Cinnamon Rolls recipe enough. 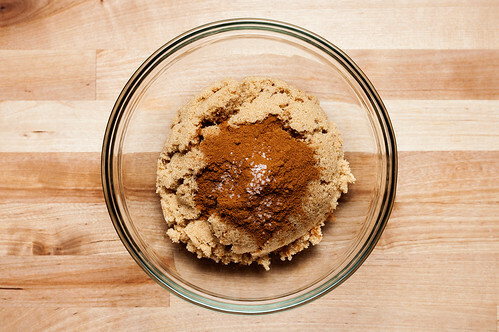 Try it, your belly will thank you. See! It's a tragedy that we're not all eating cinnamon rolls more often! 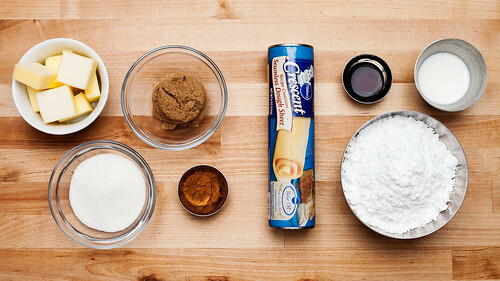 The first recipe is great for a quick fix. 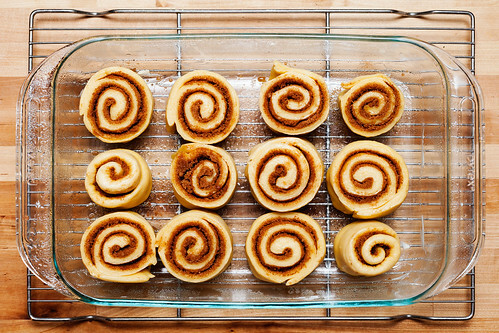 You'll have eight mini rolls baked (and eaten) in under an hour. 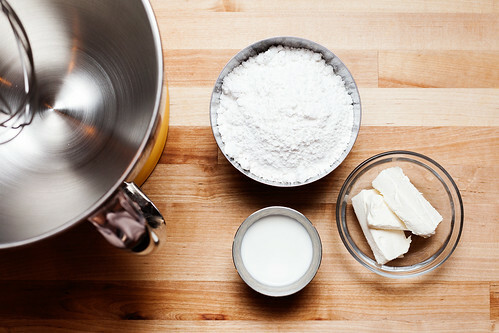 And if you end up with a little extra time on your hands, trying the dough from scratch is fun and super delicious. OH HEAVENS, GIRL! I need these in my life. 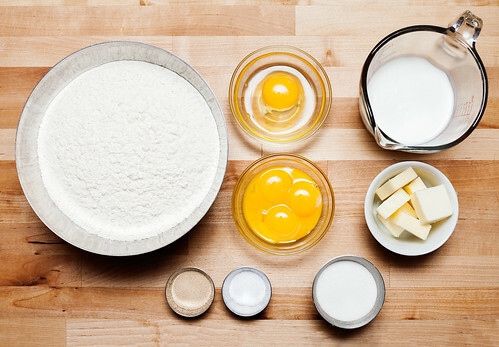 Hadn't come across Alton Brown's recipe before but you can be sure I'll be reading it in about ten seconds. My favorite part of making cinnamon rolls is the slicing, we have always done it with dental floss (not minty) in my family. I just love the whole process and of course, the icing. Can't wait to try the cream cheese! Whoa! Dental floss? That sounds so weird! I used a regular chef knife for the Pillsbury buns and it was pretty messy, so I switched to a serrated knife and it was way easier. 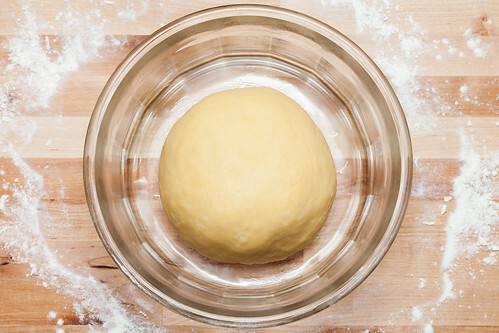 Punching dough is one of life's most satifying moments. It is! Then pressing out of the rest of the air and rolling it? So strangely soothing. 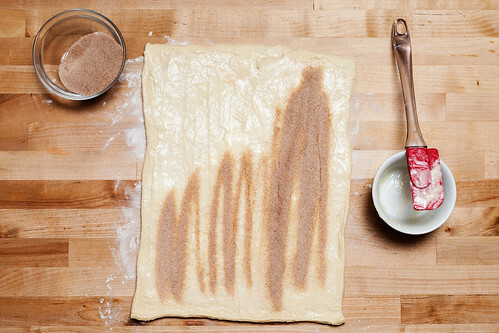 If I had more than 1 sq ft of counter space in my kitchen I would attempt to make cinnamon rolls. They look delicious.